Send the ultimate in taste and sophistication. We created this special to delight the most discriminating gourmet. There's no better way to herald an anniversary, wedding, promotion or extra special occasion. The star of the show is a bottle of incomparable Dom Pérignon Champagne. 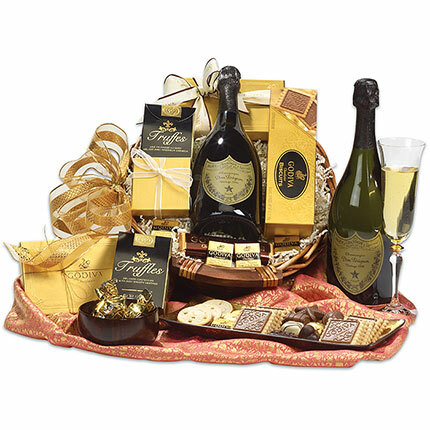 We surround this impressive vintage with "the champagnes of chocolates" —Godiva® and Ghirardelli® — to make your gift complete.